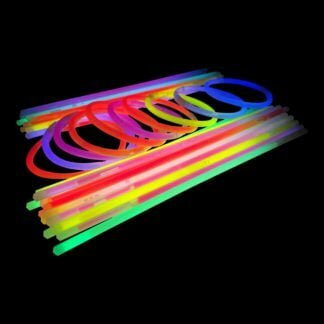 Our lowest priced glow sticks! 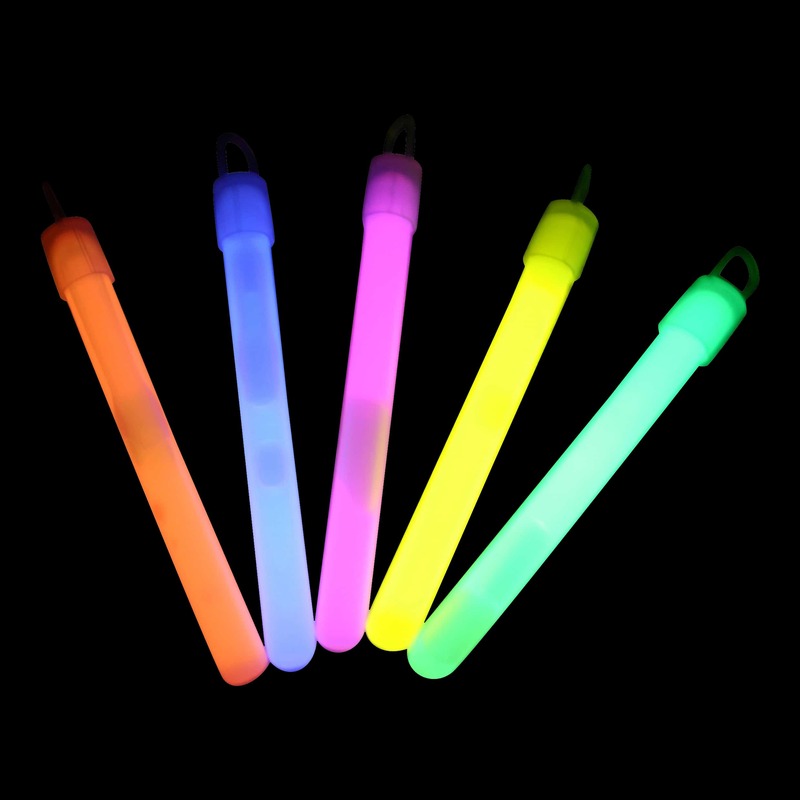 These 4″ glow stick pendants are 1cm thick and supplied in tubes of 25. 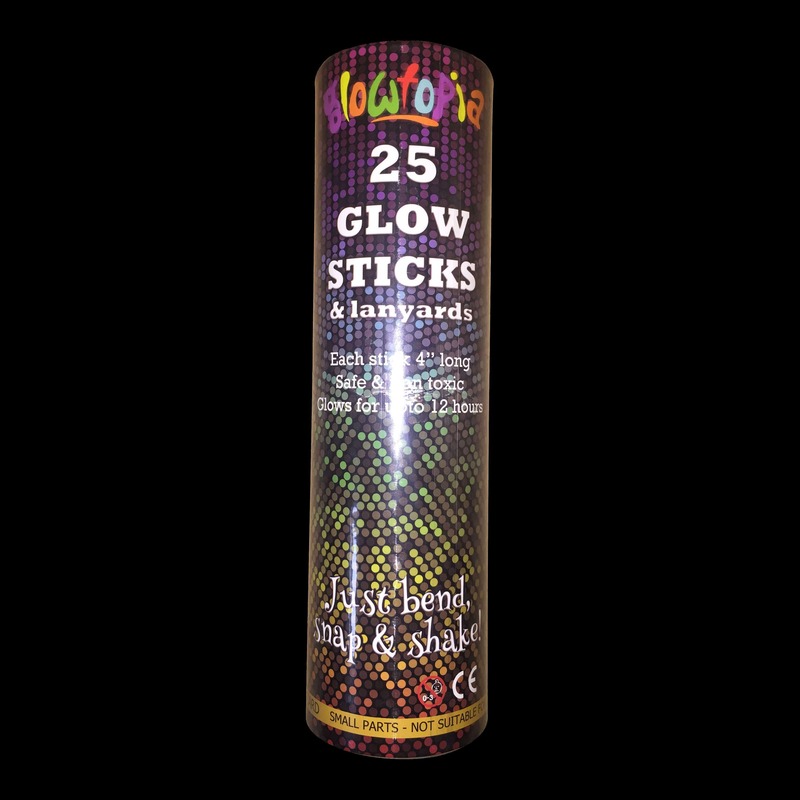 Glowtopia’s cheapest glow stick at 4 inches long with a diameter of 1cm is a popular choice for those looking to get the most for their money. These glow stick pendants are supplied in tubes of 25 with lanyards included, they are available in Pink, Blue, Orange, Yellow, Green or you can choose to have a mixed selection. These glow sticks are a great choice as a ‘glow stick pendant’. 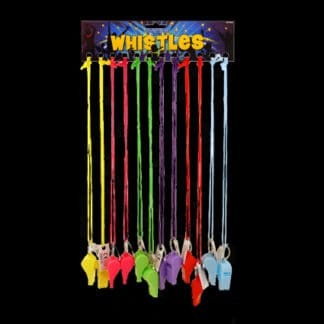 Suitable to wear as a necklace as each stick comes with a moulded cap and lanyard that can be attached. 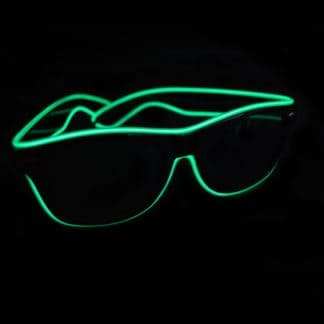 To activate simply snap the glow stick along it’s entire length, shake and they will then glow for 12+ hours. Our glow stick pendants available in tubes of 25 (complete with 25x end caps and 25x lanyards). Great glow sticks – perfect for hanging decorations in the trees at our summer party outdoors. Lit up the whole garden beautifully and made everything look a lot more cheerful. Didn’t feel cheap of flimsy. Really good, best I have used in a while. They fade out after a good 8hours. Used them for a science experiment at school. Worth the money.